To begin with, he makes the case for the continued power of the regime and its institutions, noting that "the state machinery remains penetrated by party members and Mubarak loyalists" while "the wider security establishment is thoroughly controlled by the Mubarak-created ruling elite." From this, he concludes that "the imminent end of this regime and this president may have been exaggerated." Obviously, this supports my argument. Second, Mr Ehteshami foresees nothing more hopeful in Egypt's future than "what could be loosely referred to as a rocky road to democratization." This vague term, he goes on to explain, means (1) a widening of the political base, (2) the broadening of public space, and (3) reformist forces penetrating the regime. I do not understand what this all amounts to – but it does not fit the conventional description of democracy. Third, he predicts the emergence of a broad coalition – and then its prompt failure, leading to a consolidation of parties into ones representing Islamist, nationalist, liberal, pan-Arab, and secular outlooks. Their competition, he admits, "will be long and painful" – adjectives that indicate the process will neither be finished within twelve months nor be democratic. The publisher promotes a book co-authored by Anoush Ehteshami: the authors "penetrate the labyrinth of Iranian politics and reveal the forces which brought Ahmadinejad to power. 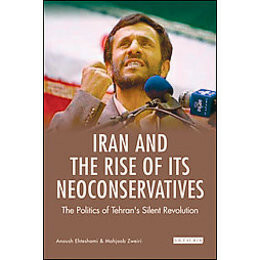 They argue that the power base behind Ahmadinejad represents a kind of Iranian version of American neo-conservativism." Fourth, and most eccentrically, Mr Ehteshami holds that economic forces will prod the country toward democracy: "Economic imperative will generate its own pressures against the government and the momentum for broad economic reforms and transparency will provide more energy for pro-reform forces." Tell that to the Chinese with their three decades of autocratic government and accompanying economic boom. Out of this mishmash of predictions comes the less-than-ringing conclusion that in a year's time, "Egypt will be becoming a democracy." Well, "becoming a democracy" is not the motion: to remind, our topic is whether "Egypt will become a democracy." Mr Ehteshami seems unable to get himself actually to make that prediction. In short, we both agree that after a "long and painful" year, Egypt will, at best, find itself "becoming a democracy." 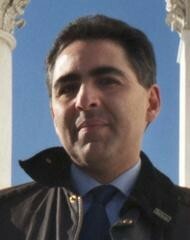 I thank him for helping me make the case that Egypt will remain autocratic in twelve months' time. Mr. Pipes is director of the Middle East Forum and Taube distinguished visiting fellow at the Hoover Institution of Stanford University. He has lived for three years in Egypt. Related Topics: Democracy and Islam, Egypt | Daniel Pipes receive the latest by email: subscribe to the free mef mailing list This text may be reposted or forwarded so long as it is presented as an integral whole with complete and accurate information provided about its author, date, place of publication, and original URL.